Some people need to correct their mistake on captured videos; it can be due to incorrect balance of white and due to under or over exposure at some points. Customize different videos clips by matching them so that they appear in sequence even if they are captured at different moments. For creating a specific style or look in order to support your mood; for example one may need to make scenes appear cold, dark, cheery, warm, bright or foreboding. No matter what you want to do for customization of your videos, Final Cut Pro can provide your complete assistance. The details below can help you to collect complete information about color correction techniques. 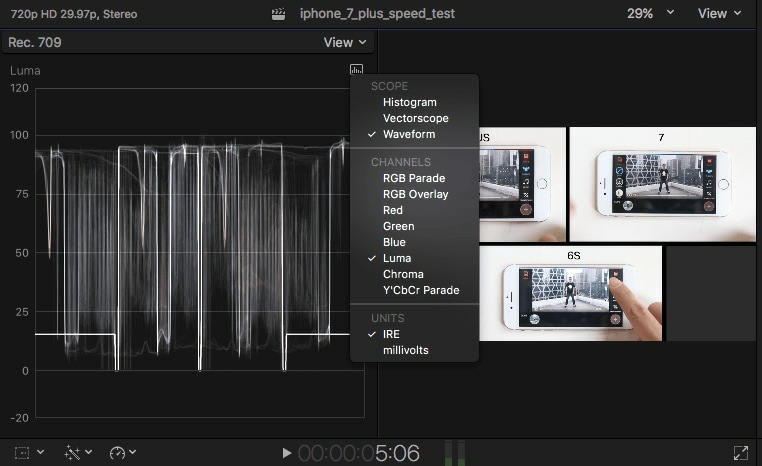 The steps above can help all beginners to develop easy video edited projects using Final Cut Pro but still of some of you find this platform little difficult then it is good to start practising as a beginner on Wondershare Filmora. 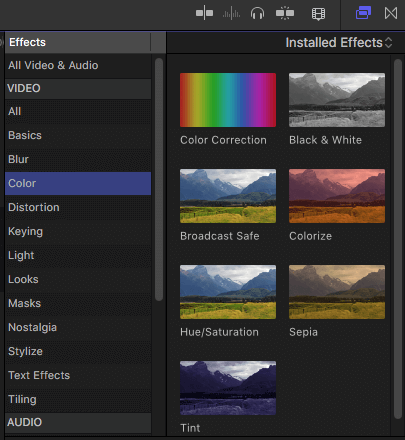 This is a well known video editor tool for Mac users that contains all powerful features and an interactive user interface to facilitate all beginners. 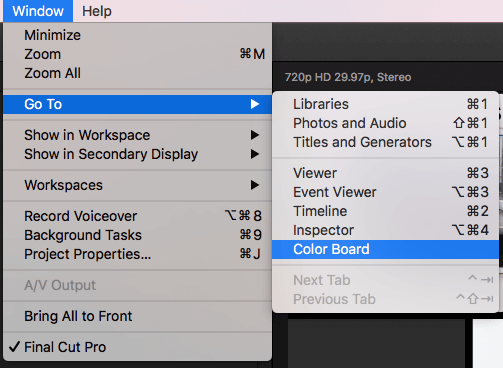 You can select audio enhancement and color correction options available below viewer and then hit “Show Color Board”. It can be simply done by pressing CMD+6. On effect browser you can easily access color correction effects inside the color category; that is also easier to allocate. Choose Window and then press Go To, you will find Color Board on appeared drop down menu. 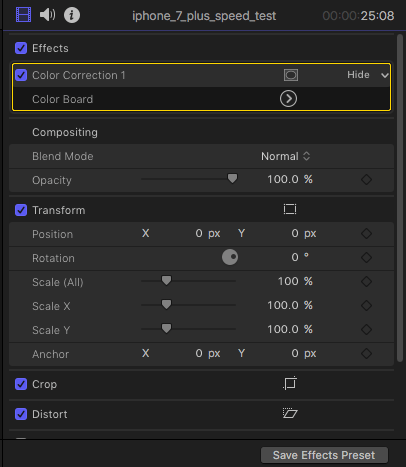 All the color correction effects will start appearing in effects section available on video inspector. As soon as you start working on Color Board it is good to open Video Scopes on your system. For this you need to click on a small icon of light switch available at top right corner of viewer and then select Show Video Scopes from drop down menu. It can be also done by simply pressing Command+7. As soon as you make this selection, the video scopes window will automatically appear on next viewer. Here users can easily obtain information related to current video frame and they can be easily configured as per need. Go to settings option available at top right side of window and then hit Waveform option. Exposure or Brightness: On the Color board window you can easily make adjustments for brightness levels of video clips. As you move on different portions of image ranging between dark and white parts, the scope will keep on displaying waveforms with values between 0 to 100 representing darkness and brightness respectively. The master slider available on screen help users to make overall adjustments for brightness by using three control options: highlights for white circles, midtones for gray scale and shadows for black parts. Consider waveform values as a guide for adjustment and move controls up and down to adjust contrast as per need. Saturation: It refers to the richness of colors in image. 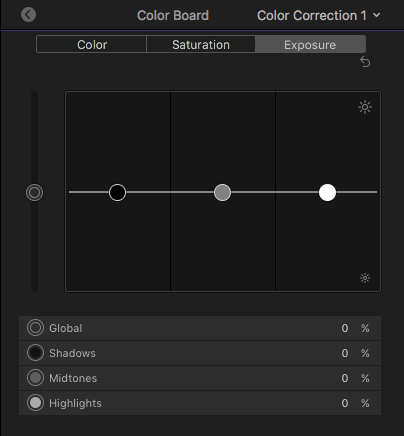 Simply select saturation pane from color board and on video scopes window you can use settings menu directly to adjust saturation information for every pixel. The image pixels that are far away from centre of vectorscope circle means they are more saturated as compared to pixels that are little bit closure. Hue: Hue displays the actual color values in image or frames in terms of primary colors: red, blue and yellow. Use color pane from color board to adjust hue that is displayed in form of a rainbow on screen. It is possible to manipulate values for highlights, midtones and shadows individually as per need. Using histogram option available on settings menu can help you to make direct adjustments for all these components. It is possible to preview all the corrections on original image before making them final. Simple hit the arrow with left facing formation on top left corner of Color Board and then return to video inspector. Hit on the Blue box to switch between correction On and Off options.